So you need an amp that sounds great, offers versatility, and isn’t too heavy when you need to move it around? A modelling amp is the answer! Modelling amplifiers pack in sounds inspired by a host of vintage and modern gear, as well as effects, giving you plenty of options. This is great as a beginner, as you can try out a lot of guitar tones quickly and easily whilst you figure what you really like! Order the Fender Mustang I V2 Combo Now! 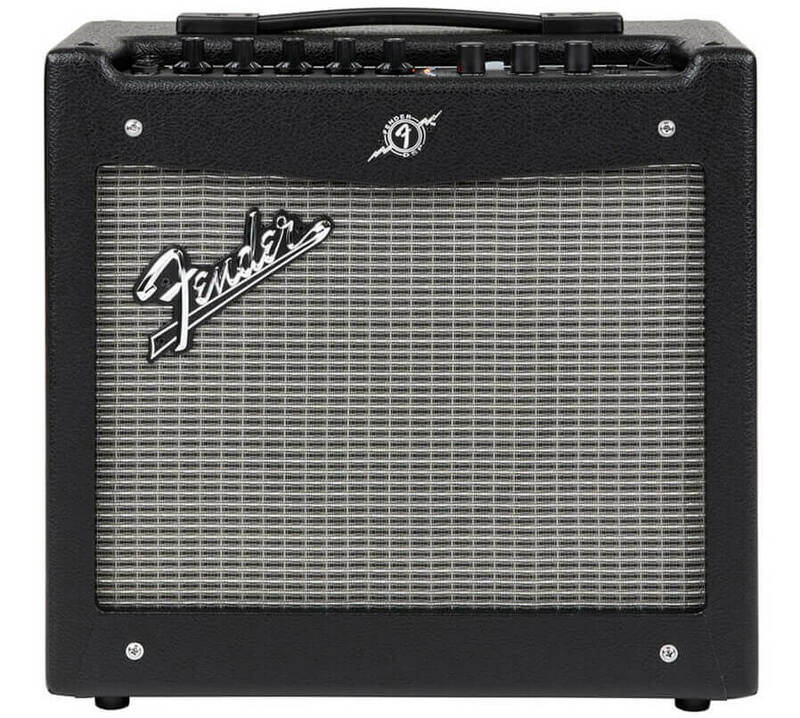 The first and cheapest amplifier on our list, the Fender Mustang I V2 Combo is the ideal practice amp! It’s small size and 20 watts of power is plenty for your bedroom at home. Space for saving 24 different presets. There’s a built-in tuner, and a raft of cool effects to play with. If you’re a beginner or pro player, you’ll find hours of fun fiddling with the controls and seeing what this thing can do. You can even record your sound directly into a computer with the USB output. And at this price, the sound quality is head and shoulders above the competition. A great sounding little amp that will be your perfect partner for hours of noodling. 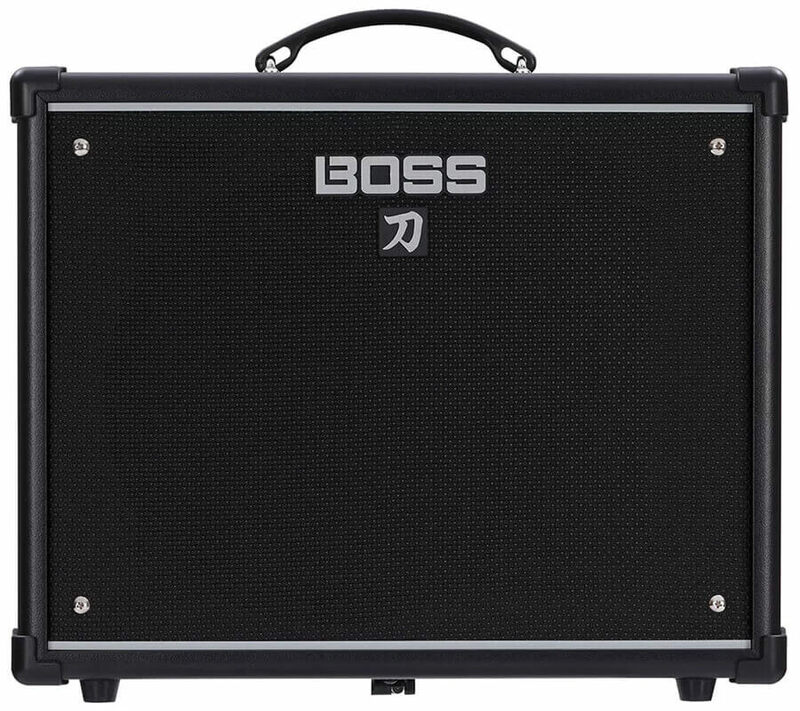 Order the Boss Katana 50 Now! The Boss Katana is where things get more serious. This is one of our best-selling guitar amplifiers, and for good reason! Ready for the stage or practice room, the Boss Katana 50 gives you amazing sound and versatility. This could be your go-to amplifier for years; there’s enough depth to keep you busy and a sound that has plenty of character. You can simultaneously run 3 of the 15 on-board effects at once, and across the 5 amplifier styles you can generate everything from crystalline clean, organic vintage and modern high-gain tones. 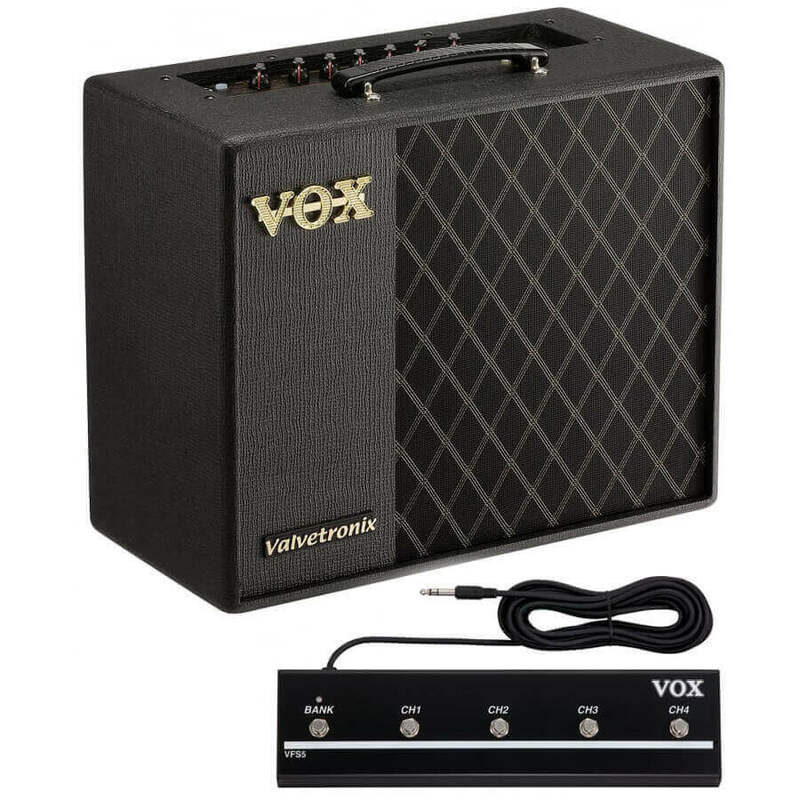 Order the Vox VT20X Bundle Now! Vox have been pushing the envelope for decades. Their VT range uses the latest VET (Virtual Element Technology) to produce the most accurate and realistic amplifier sounds to date! When you want that vintage amplifier sound you’ve heard on hundreds of classic records, the VTX range from Vox serves up the goods. This model at 20 watts is great for home use or practices. You can also deeply customise the settings using the USB output and the Vox Tone Room software. Hours of fun, and above all a realistic and authentic vintage valve sound! 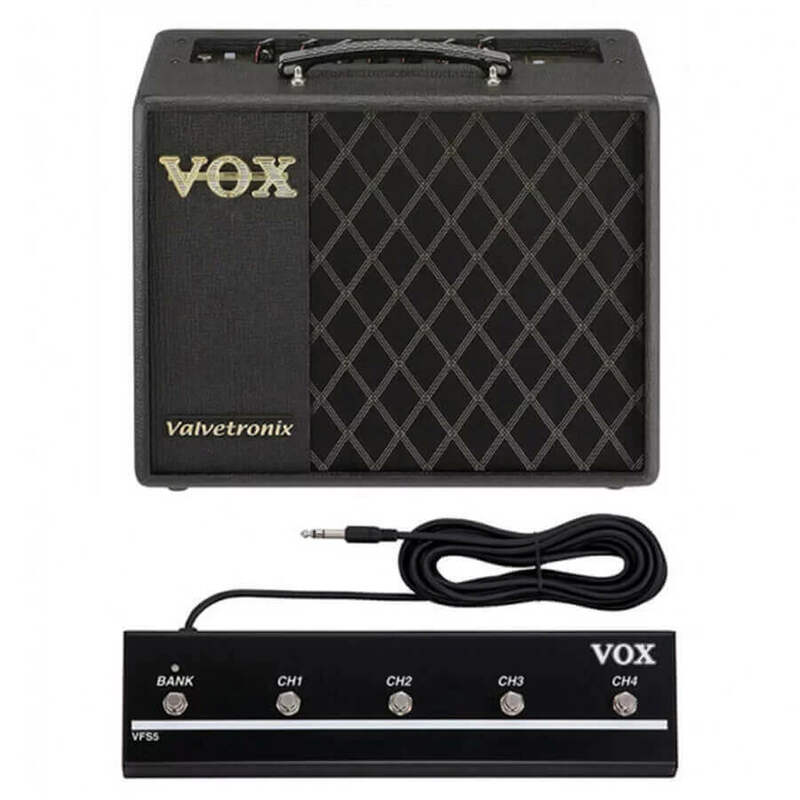 Order the Vox VT40X Bundle Now! 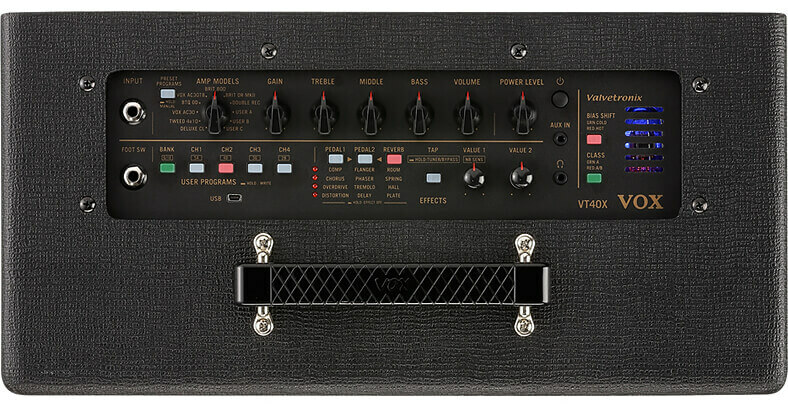 The Vox VT40X uses the same tone technology as the VT20X, yet boosts the output to 40 watts. This makes it the perfect amplifier for stage or studio! Based on Vox’s analysis of components and amp circuits, the VTX range delivers truly realistic vintage amp sounds. At just under 10kg, this amp will be perfect for a gigging musician, and gives you plenty of versatility. The included footswitch lets you switch programs, turn reverb or other effects on/off, or make speed/tap settings using your foot; great for live performance!